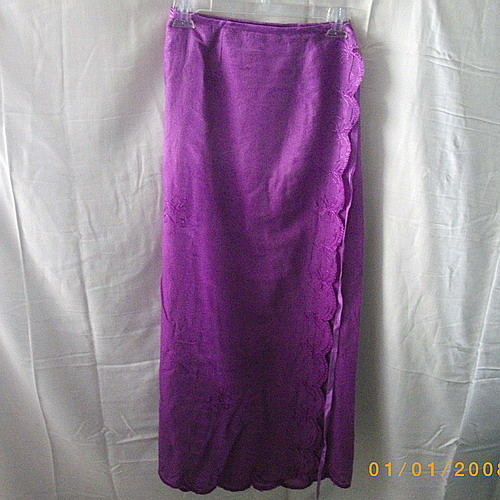 This rayon wrap skirt has self-coloured embroidery and a satin ribbon at the waist. The colour goes from light to dark from waistband to lower hem. From edge to edge measures 42". Hand wash in cold water and hang up to dry. 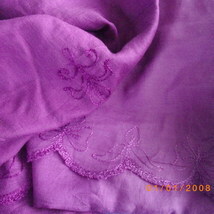 Buy more than one item from my shop and I shall refund any excess shipping via Paypal.